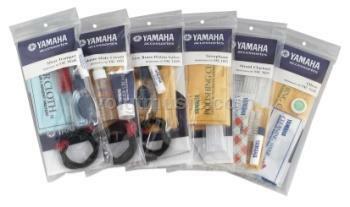 Perfect for players at any level, Yamaha Wind Instrument Care & Maintenance Kits provide an easy maintenance solution for flute, oboe, clarinet, saxophone, trumpet, horn, trombone, and low brass players. Each kit is specially designed to contain the highest quality cloths, brushes, swabs, and lubricants to keep any instrument in top playing condition. Each kit also features an easy-to-understand care & maintenance manual and re-closeable plastic bag for item storage.